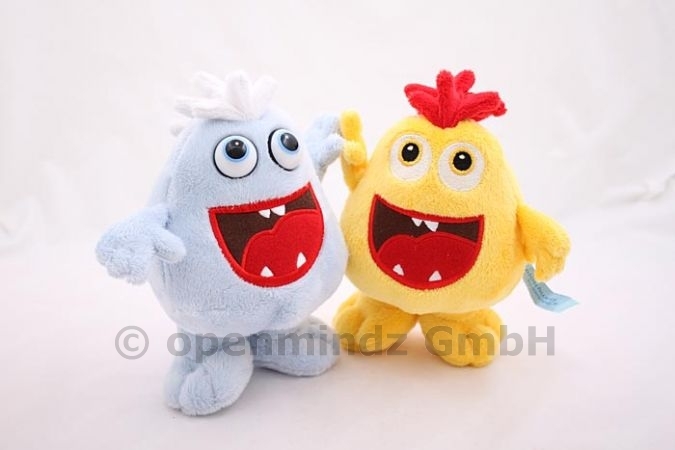 These plush monsters are very cute. Their size is about 18cm. The soft plush material is washable at 30 degree Celsius. These toys are suitable for children and babies below 3 years of age.